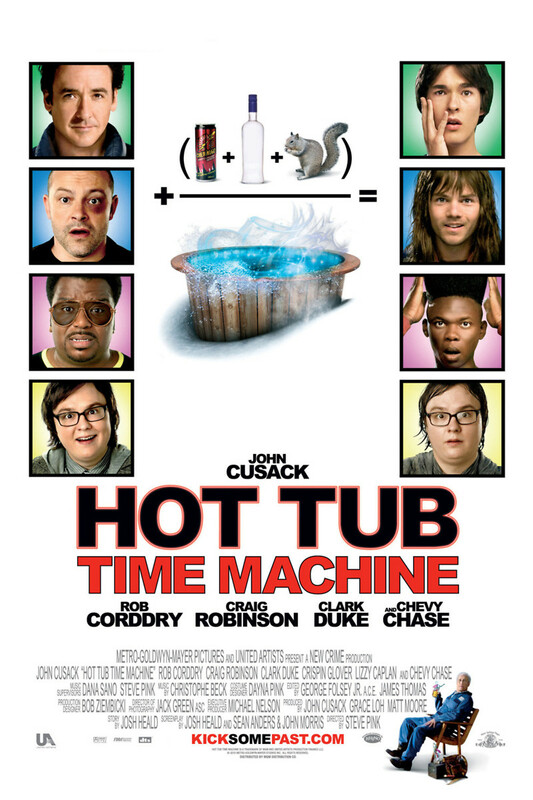 Hot Tub Time Machine DVD and Blu-ray release date was set for June 29, 2010. Three lifelong friends (Adam, Nick and Lou) who are all on horrible losing streaks decide to spend a night partying in an old resort that they used to frequent when they were younger. They are joined by Adam's nephew, Jacob. The four decide to try and forget their problems by partying in a hot tub in one of the rooms. When they wake up they realize that they have been transported back in time to 1986. Now the three of them must make the right decisions about life-changing events that happened in 1986 and also ensure that the events that caused Jacob to be born take place as well. They also need to figure out how to get the hot tub to bring them back to the present, which turns out to be as difficult as it sounds.